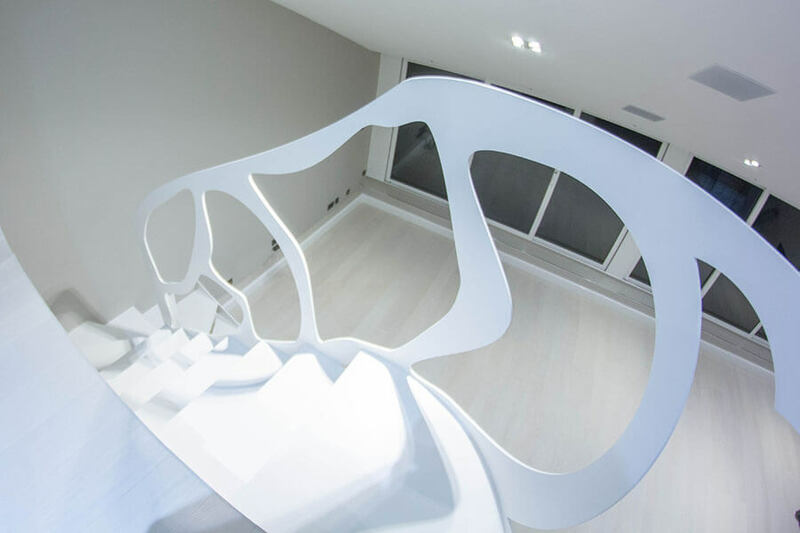 The client asked for something ahead of times, a modernistic staircase that will be at the same time delicate in order to suit the rest of the interior design. 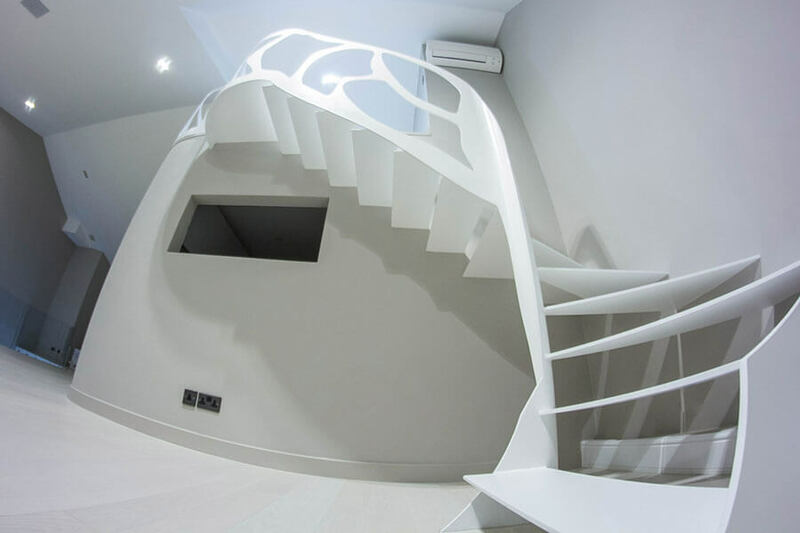 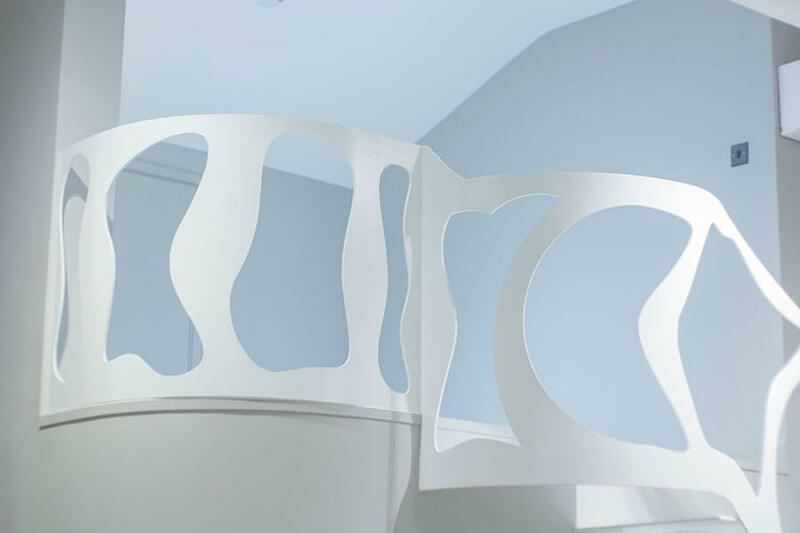 We opted for a thin welded-steel stairway painted pure white to add to the omnipresent luxury. 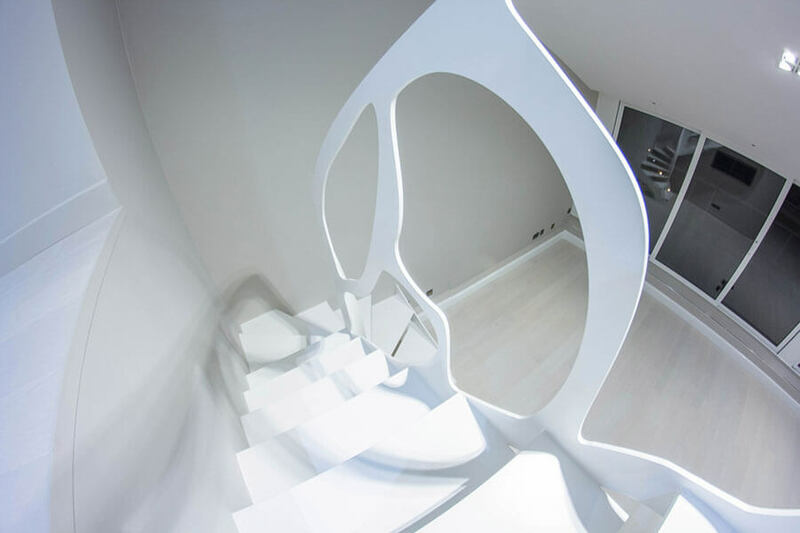 The stairs turn through 180 degrees at the very bottom to rise up along the wall. 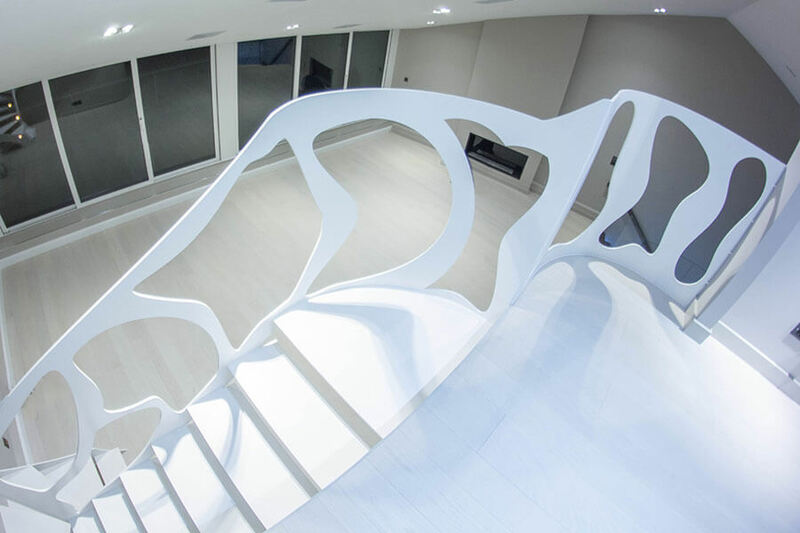 The open-rise treads are as thin as possible to make the staircase look subtle. 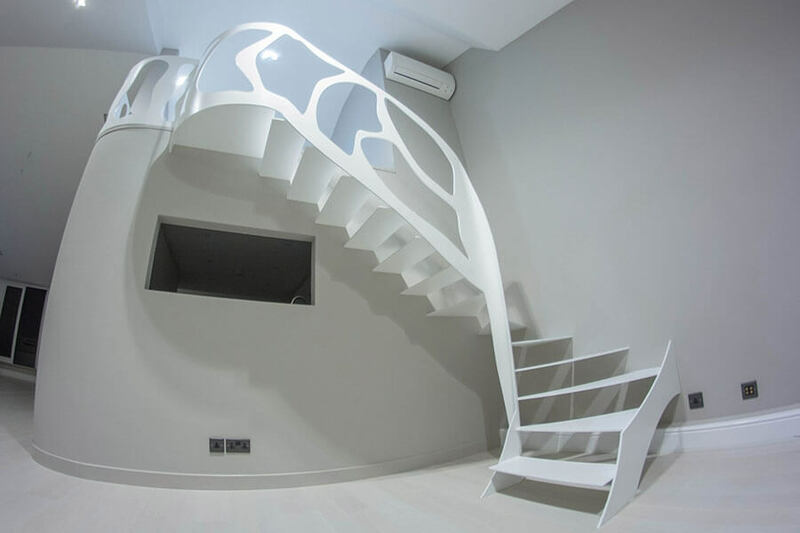 Finally, the staircase is featured by a very elegant, hand-polished stainless steel balustrade that takes the interior to new heights.